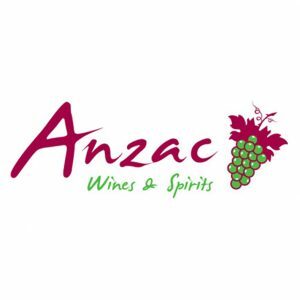 Ballycastle based Drinks Wholesaler, Anzac Wines & Spirits is a family owned business that has been supplying the trade across the North of Ireland for over 20 years. Amigos, Asahi, Baltika, Brú Brewery, Carlingford Brewery, Clearsky Brewing, Coopers Ales, Farmageddon Craft Beer, Glens Of Antrim Craft Beer, Harviestoun Beer And Ales, Lech, O’hara’s Craft Beer Range, Shipyard, Sierra Nevada, Tyskie. Asbach Uralt; Cezannel Pierre Ferrand. Boatyard; Bobby’s; Boxer; Brokers; Brooklyn; Chase; Citadelle; Copperhead; Drumshanbo Gunpowder; Eden Mill; Ford’s; Gin Mare; Glendalough Seasonal; Ish; Ki No Bi; King of Soho; Langley’s; London Silk; Mor Irish; No 209; Nordes; Old Carrick Mill; Puerto De Indias; Rock Rose; Rokeby’s Half Crown; Scapegrace; Silent Pool. -33 Gin Liqueur; Aperol; Campari; Chase Fruit Liqueur; Di Antonio Amaretto; Edinburgh Gin Liqueurs; Fiorente Elderflower; Firefly Moonshine; Frangelico Hazelnut; Giffard; Hypnotiq Liquor; Jakob Steiner; Jinro; Jungfrau Gold Cinnamon; My Shots Apple Sours; Nectars Peach Schnapps; NV: Absinthe 38 per cent; Ouzo 12; Passoa; Pierre Ferrand Dry Curacao; Sagatiba Pora Cachaca; Sebor Absinthe 55 per cent; St. Germaine; Taboo; Velvet Falernum; Volare Liqueur Range; Yellow Chartreus. Coole Swan; Irish Meadow; Sheridan’s; Van Meer’s Advocat. Makulu Pomula Spritzer; Mmwah: Test Tubes; My Cocktail Skinny Pouches; Shuda Cocktails. 1724 Tonic Water; Emerge; Fever Tree; Folkingtons bottles and cans; Franklin & Sons; Poachers; Smak. Aztec; Kah; Monte Alban Mezcal. Aka; Chase; Crystal Head; Effen; Holy Grass; Kommissar; Pravda; Zubrowka. Glendalough; Hyde; Kilbeggan; Paddy; Silkie. Benchmark; Buffalo Trace; Wild Turkey. Shearwater, Shorn, South Island, Te Pa, Honu. Ca’Bolani Prosecco; Can Petit Cava Brut; Filipetti Prosecco; Piu Frizzante; Rosamaro Spumante; Zonin Prosecco.